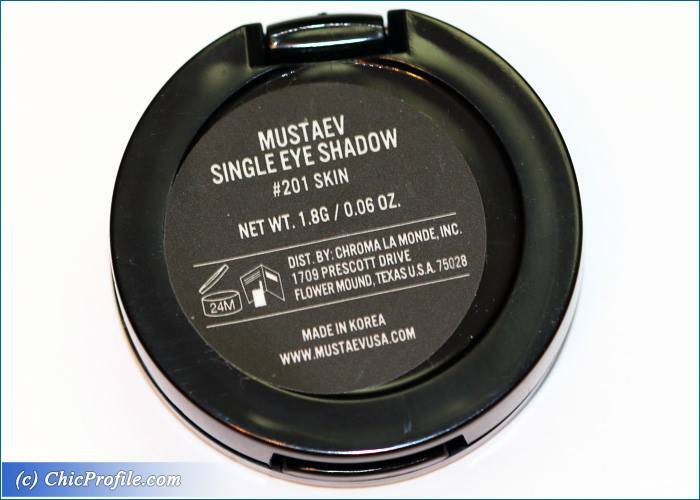 Trying out MustaeV makeup always makes my day and adds a smile on my face, but trying out new MustaeV Eyeshadows (swatches, preview)….well then I feel totally spoiled. 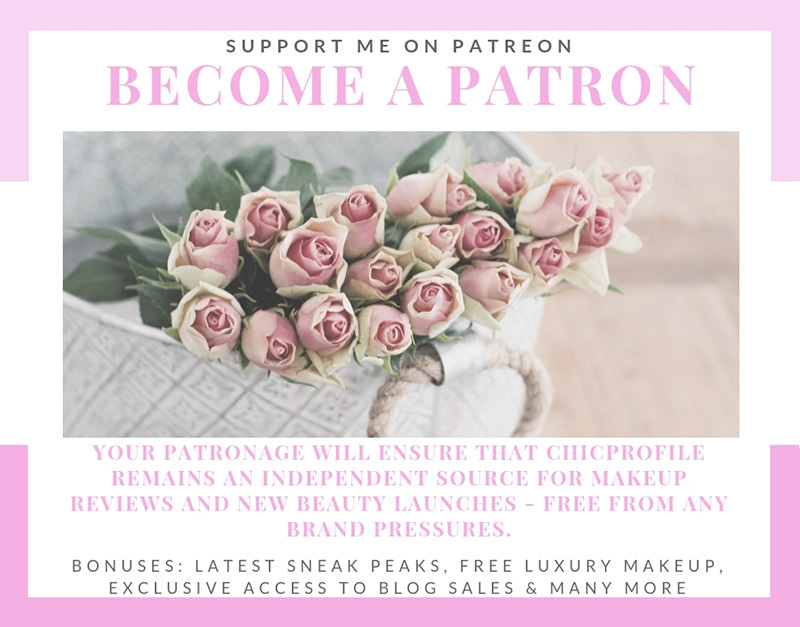 If you haven’t tried at least once the amazing formula of these single eyeshadows you don’t know what you are missing. 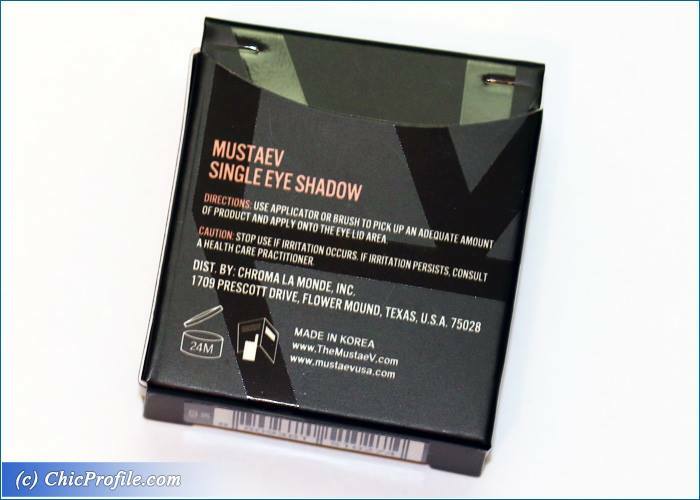 MustaeV Skin Single Eyeshadow is a new addition to my collection and along with two other new shades in Gumball and In The Club (swatches) will start a colorful MustaeV 24 Eyeshadow Palette (review, photos). 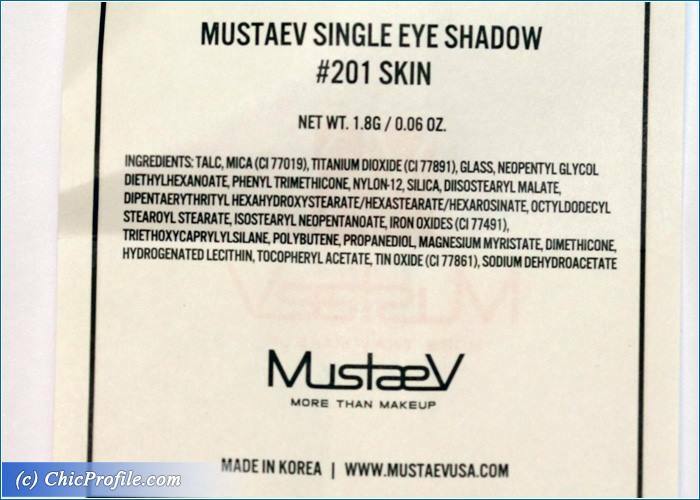 Back in summer, I did a makeup tutorial where I was showing you my current MustaeV 24 Eyeshadow Palette which was customized with my favorite colors, so obviously you’ll be seeing a lot of pinks, purples, nudes, browns and the mandatory dark greys and black for a smoky and sultry eye makeup. 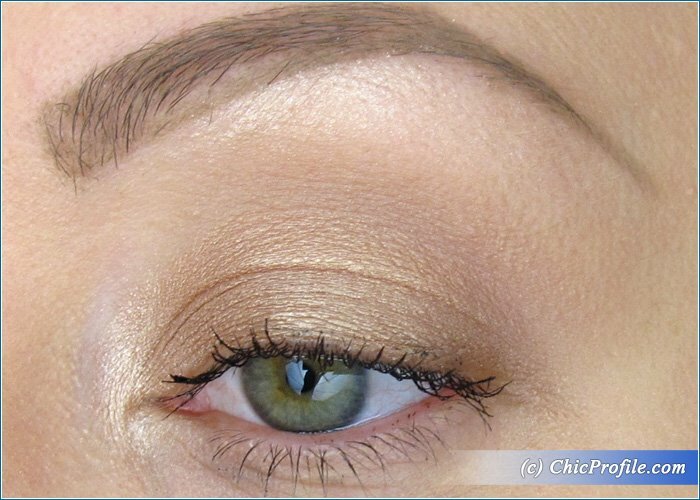 Since fall has already began I felt the need of a new gold eyeshadow which can do wonders during the holiday season as well. 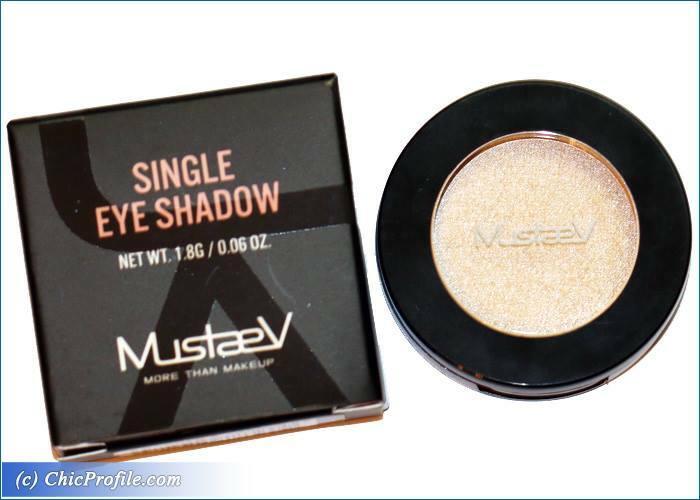 MustaeV Skin Eyeshadow ($13.00 for 1.8 g / 0.06 oz) is officially described as a pearl-beige shadow with a glitter texture that provides a radiant shimmer and a velvety smooth application. It’s a light champagne-beige with yellow undertones, gold shimmer pearl and a glitter finish. It has an amazing, smooth and fine formula, that feels incredibly soft and lightweight on bare skin. 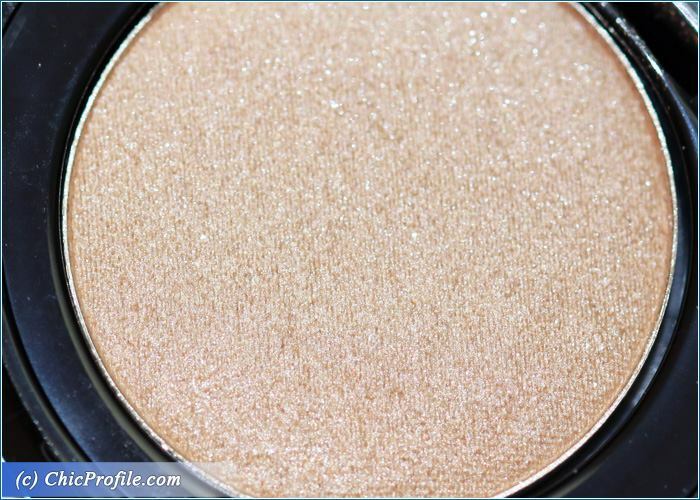 It adheres well onto the skin even without an eyeshadow primer and has no fall-out. The consistency is silky, doesn’t feel dry or powdery for a second and it does not kick excess powder right from the pan when I’m using my brush. 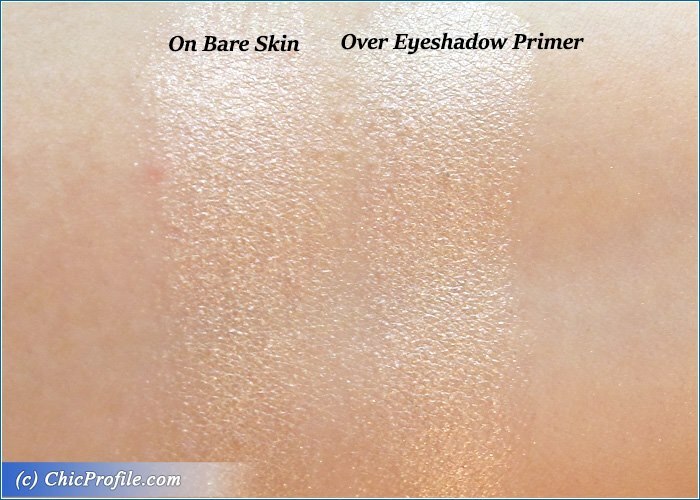 It has a good color payoff but is not meant to be full coverage and totally opaque. 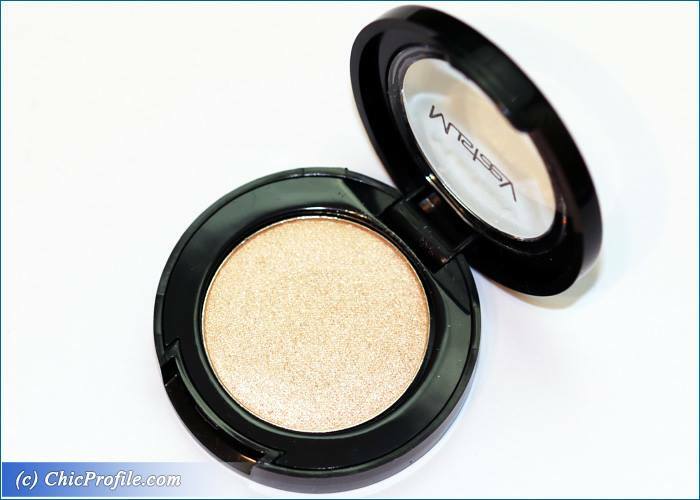 This is the kind of shade that will add luminosity and glamour to your makeup, brightening the entire look. 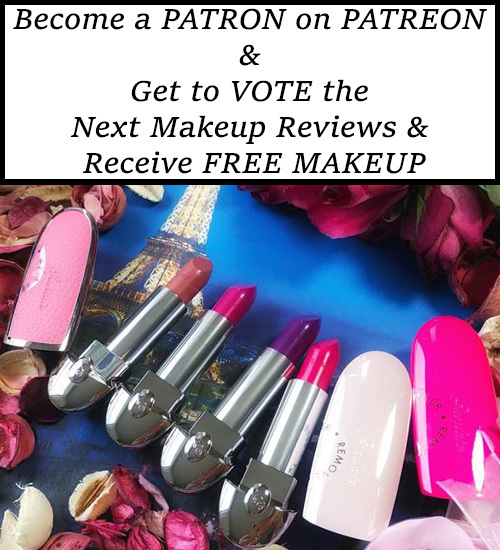 You can see me wearing it on the inner corner of my lid and gently applied on the brow bone. I bet it will complement any eye color and works great as a highlighter too. I had a bit over 8 hours year with this formula without any fall-out before I noticed the color started to loose its intensity. About the easy opening packaging I told you so many times and the fact that I like that MustaeV paid attention to this little detail. It comes in a small, rounded black plastic container with a transparent lid that snaps shut. Inside the cardboard box you will find a list with the ingredients and more details. 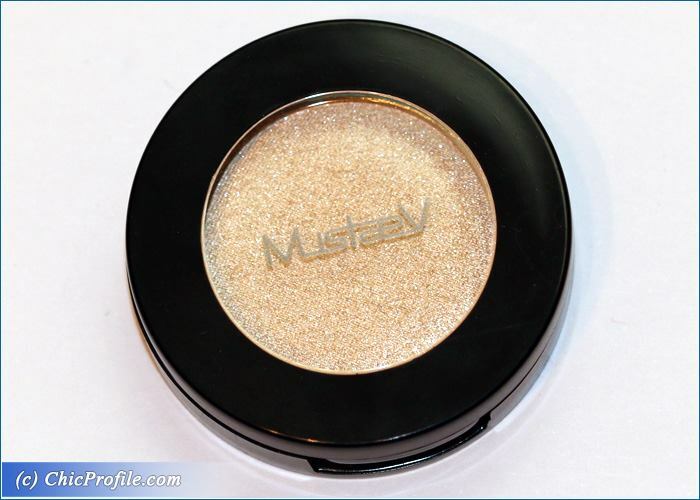 I applied MustaeV Skin Single Eyeshadow on the inner corner of my lid and on the brow bone. A glorious, all purpose shade.